What time is your appointment with Life? Launching “#HelpYourselfToHappiness – Inspirational Reflections for Everyday Living”…This is a video blog series which I will post from time-to-time. Today’s post is on an appointment that we unwittingly miss ever so often – “Our Appointment With Life”! Author AVIS ViswanathanPosted on January 11, 2016 Categories Agneepath, Amitabh Bachchan, Art of Living, Happiness, http://schemas.google.com/blogger/2008/kind#post, Inner Peace, Intelligent Living, Thich Nhat HahnLeave a comment on What time is your appointment with Life? Don’t compete with anyone or anything in Life. Life’s is not a race that you must aim to complete first. It’s not a battle either where only the fittest will survive. It is about living, letting others live too, and enjoying every moment that you are on this planet doing what you are good at and love doing. For the last four weeks, the front pages of the Chennai editions of most leading newspapers have been taken by Kalyan Jewellers. Announcing the brand’s arrival in Chennai the ads claimed that Kalyan’s was the largest jewellery showroom in the world!!! A high-voltage star-studded campaign featuring Amitabh Bachchan, Prabhu, Aishwarya Rai Bachchan and Nagarjuna led the media blitzkrieg. But even as Kalyan opened their showroom last Friday, their rivals Prince, Lalitha and Joy Alukkas upped the ante splurging on full page ads. 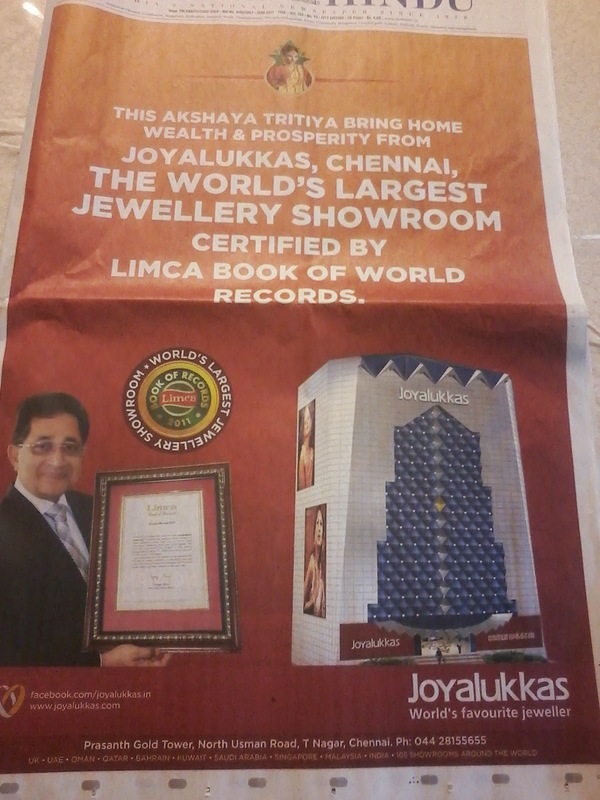 This morning’s Page 1 of The Hindu’s Chennai edition was taken by Joy Alukkas to claim that they owned the world’s largest jewelry showroom “as certified by the Limca Book of World Record”. Honestly, it doesn’t matter if you are the first or the largest, what really matters is that you are great on service and quality, ethical and true to your customers. To me, this avaricious need to be “seen” in a certain way takes away the joy out of living and doing business! Unfortunately, our education system and our social architecture promotes just the opposite sentiment. Both erroneously, irresponsibly, define excellence as being the first and getting on top of the world. So, in school you are encouraged to top the class and in society you are measured by the wealth, power and stature you have. Therefore, many of us are running a rat race, trying to outdo the others, wanting to be first and more importantly be seen as the first. A way to examine this perspective is to understand that ultimately, however fast we get anywhere in Life, our stories will allhave to end. So, why are we rushing? Think about it. Our Life is ticking away, one moment at a time. So, does it make sense to run at all, worse, run faster and only to get to the end faster or is it prudent to savor each moment, drink in its beauty, help others with whatever we can and arrive at our story’s end, gracefully, peacefully? So beautiful. Karan Johar is such a successful director and has delivered several blockbuster hits over the last 15 years. There sure may have been a temptation to want to direct it himself had someone else been in his shoes. But that’s intelligent living. When you make a powerful choice of enjoying Life rather than proving or making a point. Because, in the end, to have lived__fully__is more important than to have arrived__first! Your age is a mere data point – it is not the focal point of your Life!!! Age is but a number. Don’t ever get taken in by it! The other day I was sitting at a coffee shop enjoying my “quiet, me-time”. A bunch of 20-somethings sat at the adjacent table. And they were a riot. They ribbed each other, laughed loudly and were so full of Life. One of them even chided the others for being so noisy and said, “Stop behaving like teenagers!” To this, another among them asked her to how old she was, and she replied, “24”! And everyone burst out laughing! I thought about those young folks at the café for a long time that day. 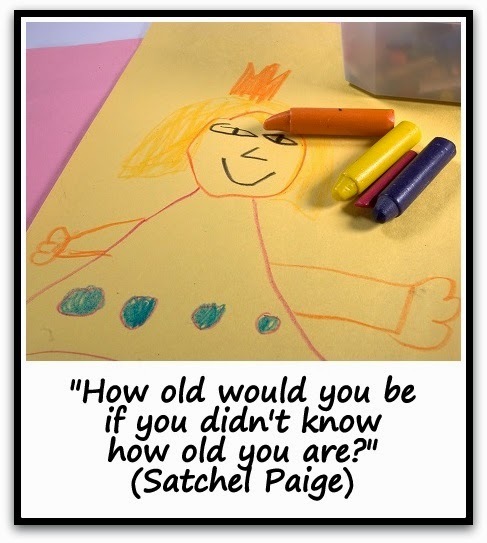 And I thought about the question: “How old are you?” Closing in as I am on my 50s – just two-and-a-half-years away – this is a question that I have often found an interesting one to answer. To be honest, I never imagined I would be this old someday. Deep within me, I carry an image of me, of a boy wearing a blue printed shirt. I must have been 11 when that picture of me was shot by a Japanese guest who I befriended at the swimming pool at Taj Coromandel Hotel in Chennai – where I took my first swimming lessons. The gentleman, Yoshiro Kizuka, was a long-staying guest at the hotel and he liked me and my brother as he too had children our age. He snail-mailed me my picture when he went back to Japan (those days you had to process film rolls and print the pictures at a studio/film lab!!!). I still have that picture with me somewhere. It’s a picture that’s very school-boyish – a lot of curiosity and wonder in my eyes, the feel of being on the cusp of adolescence evident on my face, a certain innocence and an unstated ambition lend that picture a unique quality. Even today, within me, I feel the same way – curious about Life, naïve about how to deal with its trials and tribulations, despite having faced innumerable crises; and, importantly, I feel that I am still to grow old! I must confess, quickly, that with my progressives arriving last week, with my rheumatoid arthritis reminding me of the withering nature of the human body and with all the shades of grey that adorn the sides of my almost bald pate, I do have Life pointing to my biological age more frequently than I would like! Yet, I look around me and I have enough inspirations of people who are biologically older than me, but who are still young at heart and with all that they continue to do – Amitabh Bachchan, Apollo’s Dr.Pratap Reddy, Vyajayanthimala Bali (who at 80 performed at the Chennai Music & Dance Season last December), the dancer couple Shanta and V.P.Dhananjayan, my dear friend – the unputdownable and peripatetic Ejji Umamahesh, my father (who at 76 despite chronic diabetes remains active) and my father-in-law (who despite a stroke and Parkinsons Plus retains his zest for Life). And so, after unwittingly eavesdropping on the youthful conversation at the café the other day, I have decided to deal with my age as a mere data point from now on. Indeed, your age is but a data point. It is when you make it the focal point of your Life that you miss the plot! This is what I have learnt from Life: the body is a vehicle, an instrument, to live and enjoy Life. Like all vehicles, all instruments, all machines, it ages and, through wear and tear, keeps withering away, until death, the inevitable end, consumes it finally. So, the body ages, the body dies. Not you. Not me. This is a natural cyclical process that encompasses all forms of creation from birth to death. No other aspect of creation, however, agonizes over aging and withering away or dying. Only man is obsessed with aging and dying. For instance, the leaves of a tree don’t agonize over falling off and being consumed by the earth. But we humans rue the same destiny, however intelligent we may be to know that such an end is inevitable. Which is why, we don’t live our lives fully. We are constantly, foolishly, fearing an end that we can’t really avoid or prevent. Refusing to be taken in by your age, which is just another number, is an important step to live your Life fully! Nurturing this attitude to living does not mean you will not feel the body’s aches and pains as it ages. It only means that you will exercise your choice to live each day better, making it count, than pay heed to what you cannot change, what you cannot undo and what you cannot reverse. So, rather than crave for an ageless body, celebrate the timeless spirit within you. It is like pure wine – getting better and better as it grows older! Author AVIS ViswanathanPosted on April 15, 2015 March 14, 2016 Categories Age, Amitabh Bachchan, Art of Living, Death, Dr.Pratap Reddy, http://schemas.google.com/blogger/2008/kind#post, Inner Peace, Intelligent Living, Life, Shanta and V.P.DhananjayanLeave a comment on Your age is a mere data point – it is not the focal point of your Life!!! Life is a great teacher. She will humble you till you learn your lessons. And then when you are humbled, she will enlighten you. All of us live through our nightmares before we live our dreams. And if we are living our dreams, know that the peaks will give way to valleys, and then to abysses only to find that when we have hit rock bottom, the only way to go is up. Soon, we will reclaim our lost honor, succeed yet again with our craft and regain our glory __ only, the second time around, on the rebound, we are a lot more fulfilled, a lot less anxious and see each moment of Life, or what remains of this lifetime, as a blessing. This cycle of Life, with its inscrutable up and down patterns or down and up ways, plays itself out, time and again, from person to person, incessantly, ceaselessly. 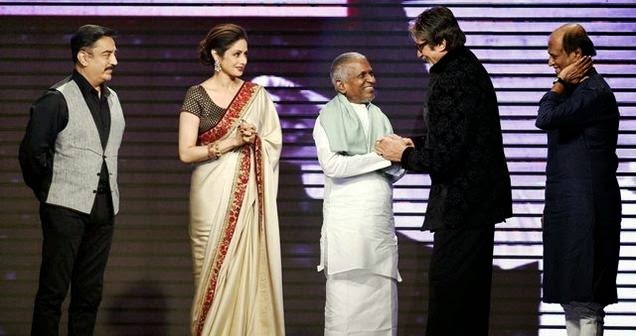 One such co-voyager in Life, a genius in his own right, an emperor of his craft, is Tamil music composer Ilayaraja. During the 70s, 80s and well into the 90s, Ilayaraja, remained king. His was the music that mesmerized listeners and sold movies. For over a decade, well actually 15 years, no Tamil movie was released that did not have Illayaraja composing music. Such was his genius. Such was his command that he was unbeatable. Not that anyone even tried. And then came along A R Rahman, the prodigal genius, who with Roja, in 1992, swept the world away! His music was different and Ilayaraja’s hold on Tamil cinema was challenged deceptively. One tune at a time, one movie at a time. By 1997, Rahman had become staple in the entertainment business down south and Bollywood filmmakers too were counting on the Mozart of Madras (Rahman) to sell their films. It was at this time that I met Ilayaraja at his home. A beautiful shrine-like place in T Nagar, in South Chennai, where music, moods, fragrances and floral patterns made the simple white walls and furniture in the house come alive almost surreally. Taking me to his studio on the first floor, Ilayaraja, playing a new tune he had just composed, asked me, “What do you think of it?” And I remember replying: “It’s out of this world.” “What to do,” bemoaned the genius, much to my shock, “the world does not recognize my worth anymore. Everyone wants the new kid, who learnt at my feet and today challenges me.” I was surprised. In fact horrified. I felt Ilayaraja must be proud, not jealous, of his protégé. I felt that the greatest compliment a ‘guru’ can get is when a ‘shishya’ (disciple) outsmarts him at his own craft. But I did not express my opinion; I went on with my meeting and left Ilayaraja’s home-shrine, a tad befuddled. This is what is happening to all of us. We are born winners. But we stop seeing our own worth, our own value because we expect Life to give us ideal performance conditions. And despite all the wishing that we__you and I__do, that can never be guaranteed. What can be known for sure though is that there’s a lot, a helluva lot, of talent in each in us. Our craft, our work, is our prayer. Irrespective of the circumstance we are placed in, let us keep playing on. Seasons will come, seasons will go, years will wear on, the body will age and wither away too someday, but eventually we will find that despite all of what has happened to us, the music within each of us remains intact. And all that happened, happened to humble us, to enlighten us, to enrich us, so that our music can light up the world! Learn to live Life ever-so-humbly, ever-grateful and ever-accepting! A new book on India’s first superstar Rajesh Khanna – Dark Star – The Loneliness of Rajesh Khanna by Gautam Chintamani (Harper Collins, Page 242, Price: Rs.499/-) – “paints”, as Kaveree Bamzai reviews in the latest issue of India Today, “a startling portrait of a star in terminal decline”. 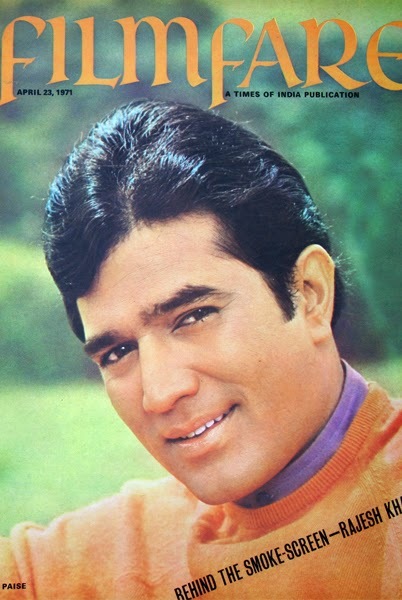 It is now, perhaps, common knowledge that Khanna’s attitude, all through his magical superstar years, 1969~1973, and afterward, had an arrogant ‘I-am-God’ quality to it. Whether it was his forever arriving late on sets, or his handing a half-finished cigarette to acclaimed writer Gulshan Nanda (who wrote ‘Kati Patang’ and ‘Daag’ , both Khanna hits, among others) while he went to complete a shot, or his making his displeasure known of his self-appointed rival by calling Amitabh Bachchan manhoos(unlucky), or his planning a party, the very night a film magazine denied him an award, to teach ‘them’ a lesson (until they come to him begging him to attend their event), or his refusing to visit a local district collector’s residence despite long-time friend and director Shakti Samanta’s insistence – all these and more made Khanna the complete snob, the one who played tantrums with anyone and everyone – taking his stardom to be permanent and himself to be invincible. But Chintamani’s book brilliantly chronicles Khanna’s fall from grace, from the limelight to the darkness of his Carter Road home, Aashirwad, and Khanna’s slipping into his all-night drinking binges, during one of which he is reported to have gone up to the terrace, and while it rained heavily, he is believed to have asked a menacingly dark sky, “Why me?”. The reference of that loaded question was, obviously, to Khanna’s losing out to the Bachchan era, his falling out with the writer-duo of Salim-Javed whom he had helped with an independent writing credit for his hit movie Haathi Mere Saathi (1971), his being dropped from Yash Chopra’s list of “must-have” stars and him being replaced by Shashi Kapoor in Raj Kapoor’s Satyam Shivam Sundaram (1978). Now, who was responsible for Khanna’s superstardom falling apart? Who was responsible for everything that he touched, in the second half of his Life, turning to dust – from films to relationships to politics? So much so, as Chintamani reveals in his book, he once had to trade his imported car for a Maruti 800 and had to switch to smoking Gold Flake from 555. While it may be argued that time and events conspire to plot our destinies, I also believe that being humble is a responsibility that all of us must be both aware of and fulfill. Be humble to know that everything happens through you and not because of you. This means, if you are a star today, the first duty you have is to the industry and the audience that made you one. Be responsible and humble towards them. Treat your work with respect and treat your colleagues as human beings. I guess Khanna lacked this perspective. And when things go wrong, as they often will, and you fall, have the wisdom and humility to accept that what goes up comes down. So, when you are down, don’t grieve. Don’t wallow in self-pity. Just treat it as a phase in Life that you can learn faith and patience from. I guess Khanna lacked this perspective too. But let’s not forget that there’s a Khanna in each of us. At various times, in varying degrees, each of us does get carried away by our success or gets snowed under when we fail at something. We must all realize that the nature of Life is cyclical. Each dark night will be interrupted by a brilliant dawn. And each day will dissolve into darkness. To imagine that we are consigned to a lifetime of darkness, whenever things don’t go “our” way, or to believe that we will be blessed with sunshine for eternity, when everything’s going per “our” plan, is immature to say the least. The best way to live Life is to live ever-so-humbly for what you have managed to achieve, ever-grateful for what you have and ever-accepting of what you don’t have or don’t get. This is the one lesson I will take away from Rajesh Khanna’s Life – a lesson that he, unfortunately, failed to learn himself, until perhaps in the last couple of years of his Life! Learn not to compare people or yourself with others. Know that everyone’s Life design, including yours, is unique. I am not going to defend AB Jr, though I must confess that I like him. People do have mixed views about him and his work – just as they do of any film actor. I believe, for instance, in Mani Ratnam’s Yuva (2004) and Guru (2007), AB Jr was exceptional. And he has been consistently good in several other films – although many of them have not been very successful at the Box Office. I haven’t met him personally but I know several people who have worked with him – and all of them uniformly attest that he is an exceptionally warm, friendly person, a livewire on the sets and a thorough professional. Indeed, AB Sr, the venerable Amitabh Bachchan, is a Super Star. And he is light years ahead in the business – not just ahead of his son, but of almost everyone else! So I wonder why we must compare father and son – and, therefore, constantly judge AB Jr with a clear, unavoidable bias toward his father? All of us have this urge to compare ourselves with others and others with still others. Comparisons lead us to one of two outcomes – a superiority complex or an inferiority complex. Both outcomes are manifestations of the ego. The truth is that you compare yourself with others because you are egoistic. So, if you stop comparing, you will have effectively dropped the ego. Osho, the Master, asks us to learn from nature. He cites the example of a man standing in front of a tall tree and saying that he feels small. There are so many small trees and shrubs around this tall tree – but they don’t express their “smallness”. They simply go on living, swaying in the wind and co-existing in the presence of the tall tree. Why does this man alone feel small in front of the tall tree? Osho tells us that only we, humans, compare. And that’s because we allow our egos to lead us. Similarly, we are the only species who judge others. A is better than B. B is inferior to C. AB Jr is not as good as his father. NaMo is better than Manmohan Singh. Shoba De is better than Arundhati Roy. And on and on we go. Passing judgment. Comparing people. And presiding over our ill-informed, half-baked opinions – reassuring ourselves that we are the most important specimen in our species. Comparing yourself with others and feeling superior leads you to insecurity, and through that to suffering – because you never want to lose that social (superior) status. Comparing yourself with others and feeling inferior leads you to suffering because you are constantly pining to become something or someone that you are not. Bottomline – in either case, you are inviting suffering into your Life. You must realize that no matter how hard you compare yourself with others or judge others in comparison with others, comparisons have absolutely no use. You will be who you are. And people you compare yourself – or others – with will be who they are. Comparisons, therefore, are a total waste of time and precious personal energy. They get no one anywhere. The intelligent way to live is to know who you are and simply be at peace with yourself. And even if you don’t know who you are, just being at peace with the way you are, avoiding comparing yourself with others, is the way to be! Never get deceived by success and fame. They are both fickle and fleeting. As the curtains came down on the ICC T20 WC at Dhaka last night, India’s sad loss in the Final led to angry fans venting their fury against Yuvraj Singh, once India’s Star player, online. While many critical views were expressed, questioning the pace of his innings (11 runs off 21 balls) and his very place in the team, some were outrageously rabid. 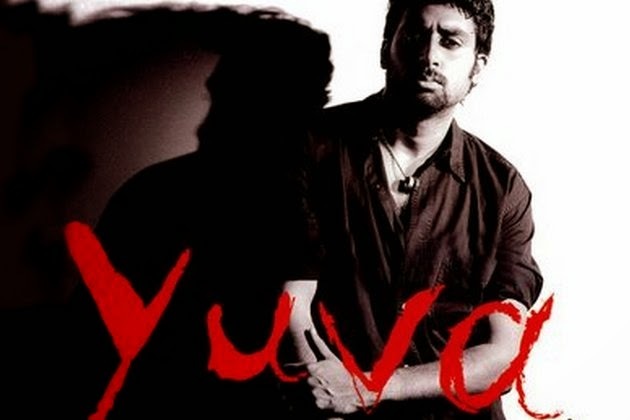 Many called Yuvi a traitor. Some called him an “idiot” or such other uncharitable names. Although in Life, and in sport, you are only as good as your last effort or innings, and while critique is understandable, my personal view is that mindless criticism must ideally be avoided. Yuvi’s classic performance in the ICC ODI WC in 2011, which India won, and in which he was the Player of the Tournament, seems to have been forgotten. Also his record-making, six sixes in an over in the 2007 ICC T20 WC in South Africa, seemed a distant, historic data point last night. What was uppermost on everyone’s mind was that Yuvi had failed – yet again in the just-concluded championship – and that he needed to be crucified for India’s defeat in the Finals. There’s a lesson for all of us from this chapter in Yuvi’s roller-coaster Life – if we care to pause and reflect. I am not suggesting that we should not review M S Dhoni’s decision to play Yuvi in the Final or in the slot that he batted. That’s the job of Team India and the selection committee of the BCCI. I am not saying fans don’t have a right to feel outraged. All I am saying is that here’s a lesson for all of us. No matter who you are or what you have achieved and how well you have served, when you fail, at whatever you are doing, you will find yourself alone. In that moment of loneliness, introspection is the key. Don’t grieve over what the world says, don’t agonize over the loss of fame or name, don’t brood over you actions – simply take Life as it is happening to you just then. The nature of Life is that it can never keep you in one place. If you are on top, a fall is inevitable. If you are down, you can’t stay there for too long either – you will be hoisted up for sure. No fall is permanent. No conquest is forever. And no pole position is permanent. Each of us is a product of the time that we go through. For Yuvi, the fall will hurt harder because it is cricket – the sport is a religion in India, the fans are very demanding and unforgiving, and so he has to deal with a public scrutiny of his intent and talent. For many of us, our falls happen in our own limited, private, often small worlds. 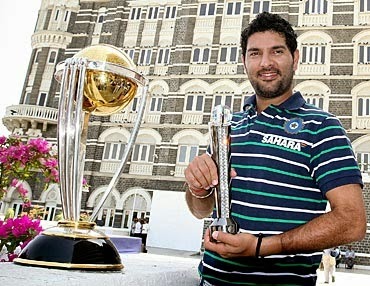 Even so, our pain will be the same as Yuvi’s. Whether you lose in business or in career or in a relationship – whatever be your loss, analysis by peers, family and society only makes the loss even more difficult to fathom and accept. The best way to deal with such situations is to remind yourself that everything is transient. Most certainly, fame, money, glory, success, defeat and loss are impermanent! I remember an acceptance speech that Bollywood’s first and original Super Star Rajesh Khanna delivered at an India International Film Award event some years ago, when he received the Lifetime Achievement Award from the man who dethroned him from superstardom, Amitabh Bachchan. Khanna said: “Everything – name, fame, glory – everything is impermanent. Where I am now someone else was in this place and someone else will be in this place when I am gone…” (Follow this link Rajesh Khanna IFFA Acceptance Speech to listen to that memorable acceptance speech) This is the irrefutable truth about Life. The lesson from Yuvi’s fall from grace last night – and from Khanna’s wisdom – is that we must learn to take success, defeat, fame, fall, glory and loss all in the stride. We must learn to practice equanimity – which is really the ability to be untouched and unmoved by anything, in any situation. This may appear difficult to do. But this is the only way you can be peaceful within – and avoid all suffering – even as you deal with Life’s vagaries outside.